Hiking in Nepal, a marvelous way to spend your time your holiday in Nepal this will be an introduction where you will get the taste and glimpse of local rural villages culture and its interesting traditional way of farm life with amazing views of mountains. 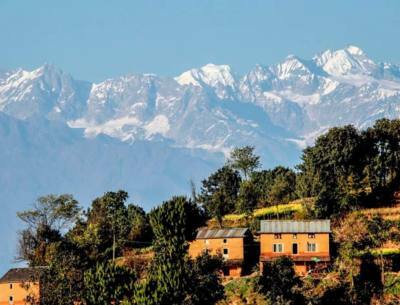 Hiking in Nepal, an ideal way to start and with practice before your main major trekking leading you to high ridges within fresh alpine air and into enchanting woodland filled with rhododendron-magnolia-oaks-pines and fir tree lines, wherein springtime will be more enjoyable and exciting when flowers are in full bloom. 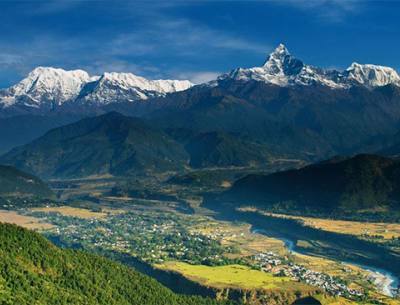 a short hike for a day or more around the high hills and ridges of Kathmandu and Pokhara valley with much interesting time exploring local villages cultures interwoven with Hindu and Buddhism religion in the shade of high Himalayan mountains backdrop. Reasonable Treks & Tour offers varied Hiking in Nepal programs for a day or two with an enjoyable and wonderful time to make you stay with us more memorable and worthwhile. Nagarkot to Dhulikhel Hike, Dhampus, and Australian Camp (Thulo Kharka) Hike to Sarankot or Peace Stupa within Pokhara valley and in Kathmandu, we have more on request hike to Shivapuri Danda (ridge), Phulchowki and Nagarjuna Hills.